Generally when liberals run a country stupidity follows. 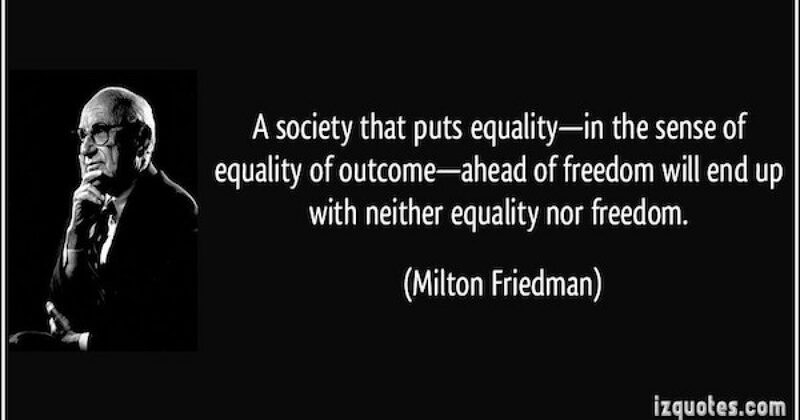 The stupidity results from the false liberal creed that equal opportunity is the same as equal outcome. This lack of discernment forces liberals to compensate by picking winners and losers, like the failure of Obamacare, cash for clunkers, and so many other programs under the previous administration. A new law Iceland is another example of this liberal failure. The government of Iceland has just passed a new law mandating equal pay between the sexes and making it illegal to pay a man more than a woman. This is brilliant and fair, in theory. Sadly, as anyone who took economics in college knows, we don’t live in a theoretical world. We live in a world where there are shades of gray and a vast multitude of variations between any two people. “I think that now people are starting to realise that this is a systematic problem that we have to tackle with new methods. The law is part of Iceland’s attempt to eradicate the gender wage gap by 2022, but it fails to take into account WHY the gender pay gap exists. As activist Dagny Osk Aradottir Pind explained, Iceland has always been at the forefront of gender justice and they have many laws already attempting to force equality of pay… and yet, even in Iceland where the gender pay gap is smaller than anywhere else in the world, the gap persists. There is a reason that the gender pay gap continues to exist despite all of the left’s attempts to stomp it out… and the reason has NOTHING to do with sexism or discrimination. Employers view long hours as a sign of commitment and leadership potential. But from scarce, pricey child care to short school days, the world is organised for families with a parent at home—and that is usually the mother. They call it the motherhood penalty and it leads to fewer hours worked and lower pay. The gender pay gap does not exist because men and women are paid less for the same jobs, it exists because men and women tend to do slightly different jobs. When equal jobs being done out there is reached then we will have gender pay parity. Because, as before, we already have the same pay for the same job. A study from Glassdoor found that a full “HALF” of the gap existing between men and women had to do with their choice of occupation. More than half of the pay gap between the genders can be explained by the fact that women tend to work in lower-paying industries and take jobs that pay less than men, finds a report published [March 2016] by jobs site Glassdoor. “Men and women for a variety of reasons are being pushed into different jobs and industries,” Andrew Chamberlain, Glassdoor’s chief economist, explained to The Huffington Post. Another study found a multitude of “gaps” between men and women that would all partially explain why men, in general, still earn more than women. Men disproportionately gravitate towards higher paying occupations in technology and hard sciences (e.g., petroleum engineer). Men disproportionately choose higher-risk, higher paying occupations with greater safety risks for occupational injuries and fatalities (e.g., oil field worker, roofer, and logging). Men are more willing than women to choose demanding, intense jobs where you can’t check out at the end of the workday (e.g., corporate attorney, senior White House staff). Men often choose higher paying subfields (e.g., surgery and anesthesiology). Men are more willing to work in dirty or unpleasant environments with minimal human contact (e.g., prison guard, steelworker, truck drivers). Men work longer hours per week than women on average. Men are more likely than women to have more years of recent, uninterrupted experience with their current employer. More work more weeks during the year than women, on average. Men are less likely than women to be absent from work (e.g., doctor’s visits, sick days, taking time off when children are sick, etc.). Men often produce more output, e.g., scholarly research articles for university professors. Note: None of those gaps above apply universally, but reflect overall gender differences that apply in general and on average. The reality is that the gender pay gap is not something that can be legislated out of existence fairly. By forcing companies to do this, Iceland will be forced to discriminate against men, making them the losers and women the winners. Iceland believes they are legislating equal opportunity but they are forcing an equal outcome. Men on average work longer hours, choose more risky occupations and do more physically demanding work by forcing companies to pay their female colleagues the same the men will no longer be compensated for taking on these challenges. The issues creating the gap are obviously cultural and mostly unrelated to purposeful discrimination/sexism. The way to “fix” the gap that exists, if it needs fixing, is to change attitudes and nurture a different culture moving forward. Sadly, liberals never want to take the safer more productive route, instead, they use government to threaten and bludgeon citizens into modified behaviors. It doesn’t solve the cultural problem, and it creates anger, angst, and division… but liberals believe that is the function of government to make people conform to their version of the ideal. There is no way to know how men will respond once their financial incentive to engage in these riskier, or more demanding behaviors, is gone. Iceland could be opening up a Pandora’s Box that will wreak havoc on their economy and see wages drop across the board.